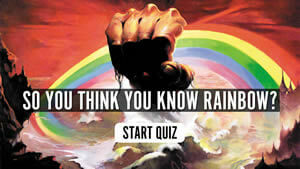 Ramblin’ Man Fair: it’s a rock festival, it’s a way of life. And it’ll be happy hour every hour at Mote Park, Kent, on the weekend of 23-24 July, as the Ramblin’ Man bar opens for the second year running. To mark the event, the crew have had their own bespoke pub sign made – a stunning piece of metalwork whose skull’n’cross-guitars motif perfectly captures the spirit of the festival. We imagine it’ll look the dog’s proverbials next to the real ale tent. 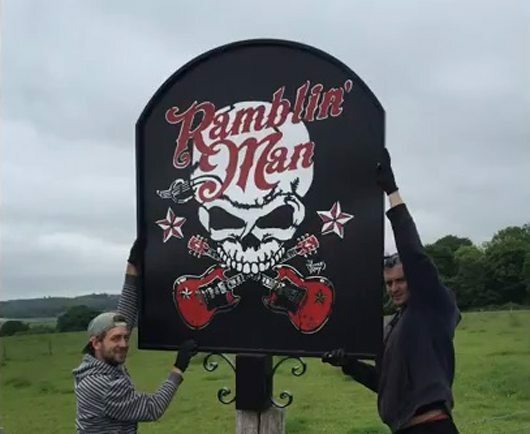 Fittingly, this year’s Ramblin’ Man also boasts its own on-site forge, at which festival-goers can witness first-hand the skilled labour that goes into making something like the pub sign (the below video captures the magic). The forge is one of a number of standout attractions at the event, which help mark Ramblin’ Man out as something more than your average music fest. 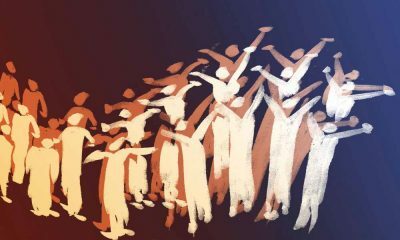 There’s also an old-style motorcycle Wall Of Death, a Harley Davidson simulator and an artists’ bazaar, at which the likes of legendary artist Roger Dean will be regaling fans with tales from his adventures in prog. Coming in cases of 15 and 24, Metallica’s new beer coincides with the group performing the closing gig in Québec’s Colisée Pepsi, on 14 September, before staging the inaugural concert in the city’s new Centre Vidéotron, two days later. 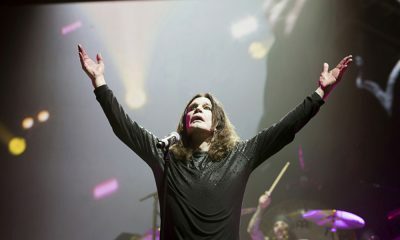 Fans attending the shows will be treated to free cans of the beverage… and headaches for all (presumably). 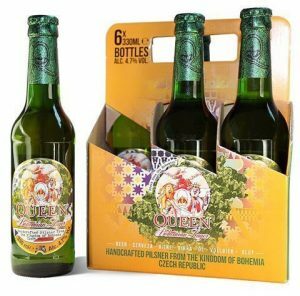 Brewed in the Czech Republic, Queen’s Bohemian Lager is proudly GMO-free, taking advantage of local resources including Moravian malt, Czech yeast and Saaz “noble” hops. 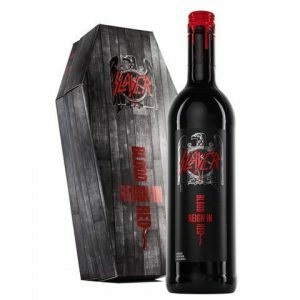 For those more interested in cocktails, there is the option of Killer Queen Vodka, which launched in 2014 as part of the 40th-birthday celebrations of the band’s No.2-charting single that gives the vodka its name. The Stones’ Forty Licks merlot has been succeeded by a number of other bespoke wines, ensuring that Stones fans have had no trouble getting their rocks off over the years. 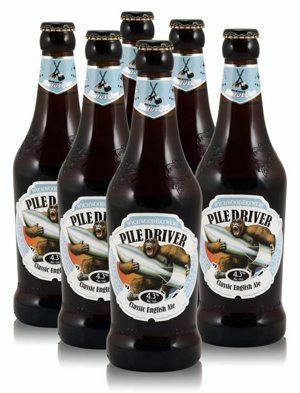 Status Quo swapped Marguerita Time for pale ale hour when they launched Piledriver, the 4.3% beverage made by Wychwood Brewery in Witney, Oxon. Described as offering “a creamy palate with a hint of toffee, caramel and a slight roasted flavour”, it also features a rampaging gorilla brandishing a bomb on its label. Treat with caution. 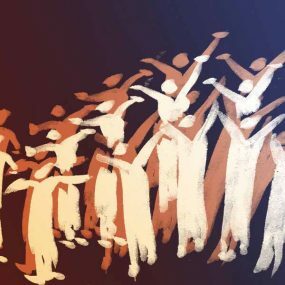 Created in partnership with Marston’s brewery, Elbow’s limited-edition Charge pale ale was released in April 2014, as part of the group’s promotional campaign behind their sixth studio album, the chart-topping The Take Off And Landing Of Everything. The only surprising thing about KISS launching their own alcohol line is that it took them so long to do so. Whether you’re looking for a quick beer or to share (or not) a bottle of wine, KISS have those crazy, crazy nights covered. 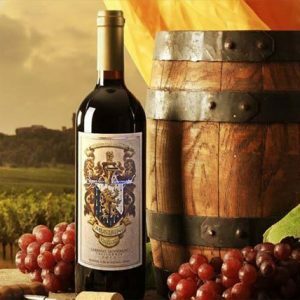 Megadeth’s wine-loving Dave Mustaine opened his own Mustaine Vineyards in 2012, and has to date released two limited-edition lines, Symphony Interrupted and Blood Of Heroes. Having tested the waters with their Indians bourbon in 2014, Anthrax unleashed The Devil You Know in 2015. Created by the Kentucky-based Knob Creek distillery, each bottle comes with a card signed by the band. 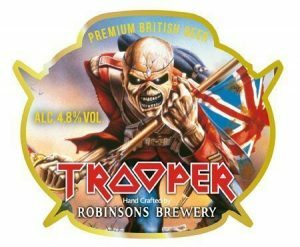 Maiden frontman and real ale enthusiast Bruce Dickinson helped create the 4.7% Trooper beer with Robinsons brewery, in 2013. With a reported 10 million pints now sold, the group started brewing a “supercharged” 6.6% Trooper 666 edition in the autumn of 2015. Brewed by the Warburn Estate in Marlborough, Australia, AC/DC’s Hells Bells is billed as being “wonderfully aromatic with hints of gooseberry and zesty citrus notes”. In what’s a crowded market for band-branded alcohol, AC/DC are notable for preferring a white wine over a red. Ramblin’ Man tickets are on sale now. Click here to purchase them. Meanwhile, fans of classic rock should follow the Rock Icons playlist, featuring Ramblin’ Man act Thin Lizzy, along with booze-bringers Queen and many other legends of hard rock.